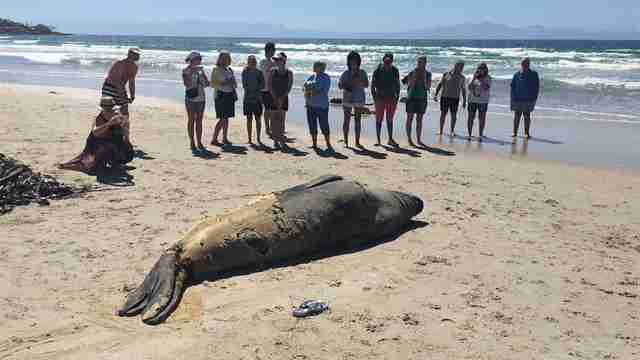 When an elephant seal decided to molt on Fish Hoek Beach in Cape Town, South Africa, everyone who frequented the beach was immediately intrigued. People began invading the seal’s space, taking pictures with him and ignoring the fact that he was a wild animal who probably didn’t want to interact with them all that much — and as soon as city officials realized what was happening, they immediately stepped in to help. Molting is when an elephant seal sheds parts of their skin, and the whole process can take up to a month to complete. The seal typically does not return to the water or feed while they’re molting, meaning the Fish Hoek Beach seal would be on display for everyone to see for a while. 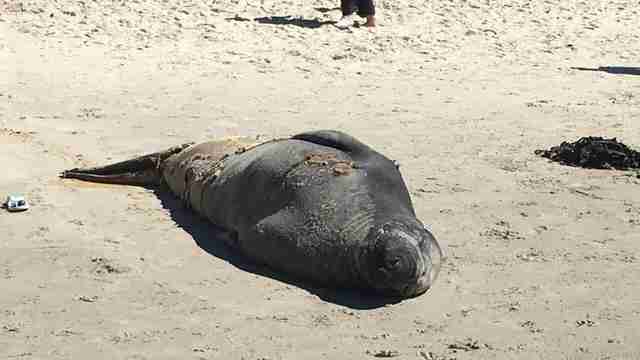 The city of Cape Town quickly decided it wanted the seal to be as comfortable and protected as possible while he did his thing, and so officials sent out a press release and put up signs requesting that all beachgoers leave the majestic animal alone. “We urge that parents also ensure that their children are kept under close supervision and don’t go within 10 meters of the animal,” Marian Nieuwoudt, a committee member for spatial planning and environment, said in a press release. The city officials were very aware that when people see a wild animal roaming a beach, they’re often tempted to take photos — and wanted to make sure they shut down that prospect immediately.